Add a contemporary look to your bath with the 37-1/2 in. x 72 in. 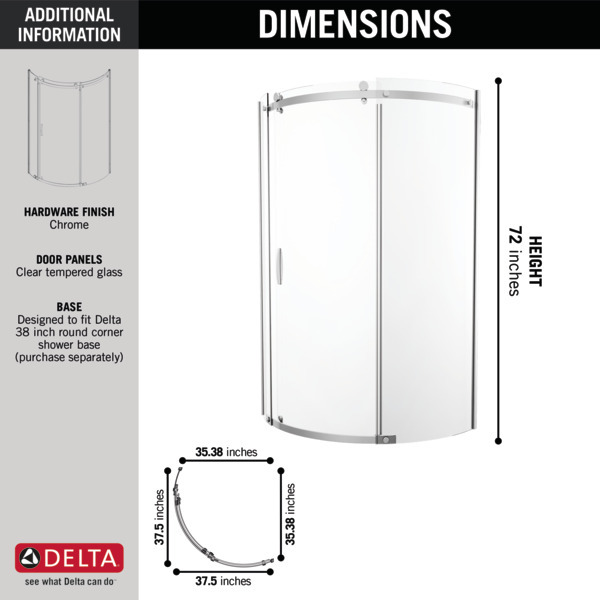 Frameless Corner Sliding Shower Door from Delta. The sleek frameless design will enhance any bathroom decor. 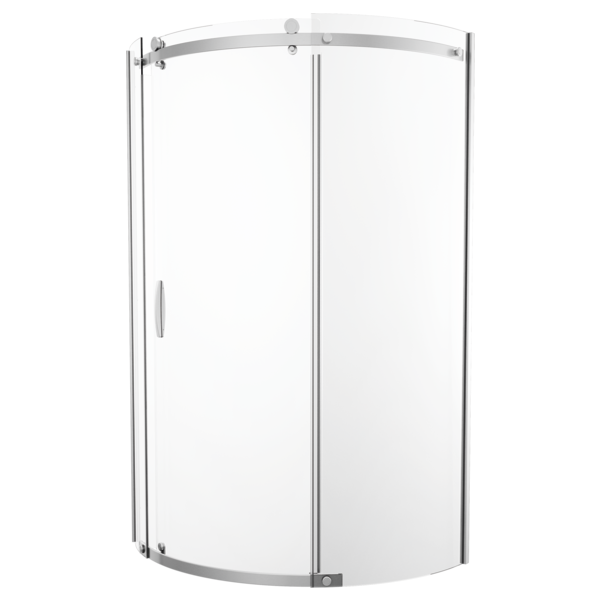 The enclosure features a clear tempered glass door and panels with included hardware. can this be used with tiled walls? Does this come in a 36 inch door? Hi. I&rsquo;m having the same problem as mjkiefer. My shower keeps leaking around the base. The plumber has triple checked the drain &amp; has caulked everywhere he can think of; however, the floor is still getting wet. I am so frustrated. I have purchased the 38 inch round shower stall and starting installation. I need to know the type of adhesive used to attach to wall studs . I have the info on the use of the sealants but want to ensure the adhesive is OK for the fiberglass. 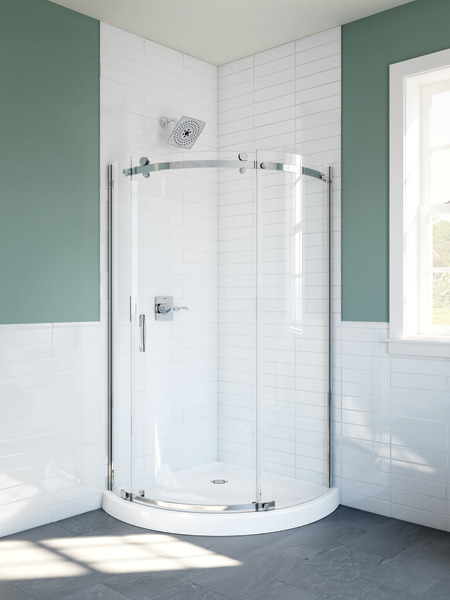 B911917-3838-PC round shower does it come with the door opening from the right to the left?